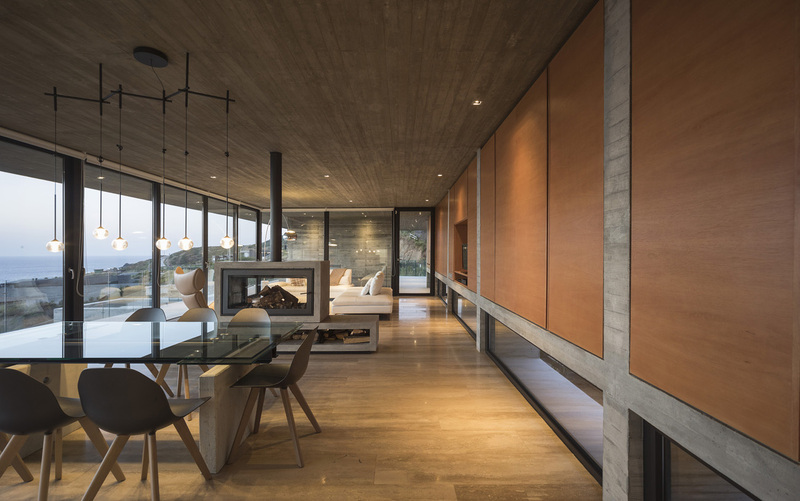 Entitled ‘Casa H’, this residence in Chile is a testament to the beauty of reinforced concrete. 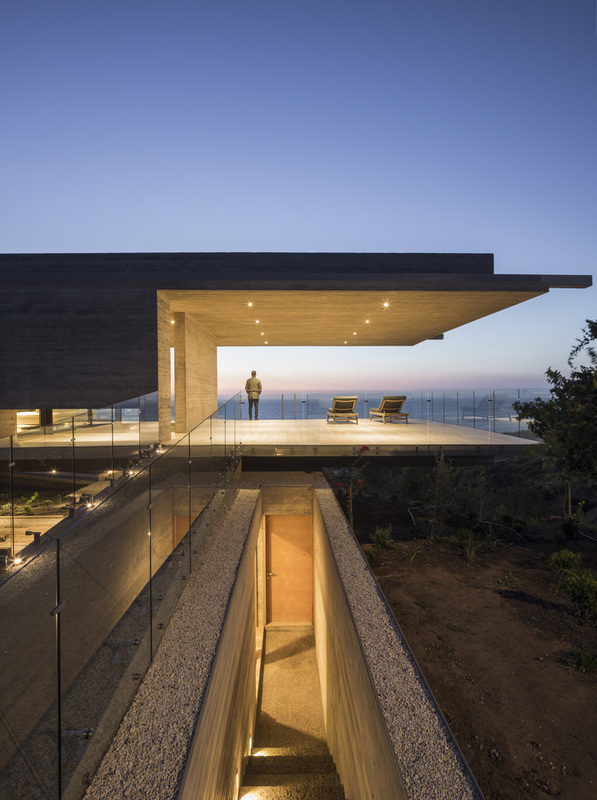 Designed by Felipe Assadi, Trinidad Schönthaler, and Macarena Avila, the dwelling is composed of a succession of longitudinal and transverse beams that together generate a single structure hovering gracefully above the ground. “As always, we prefer to inhabit a structure instead of structuring a room,” explains Felipe Assadi. “In this way, we consider the technical feasibility of a project as its actual design resolution; feasibility is not separate from project design. 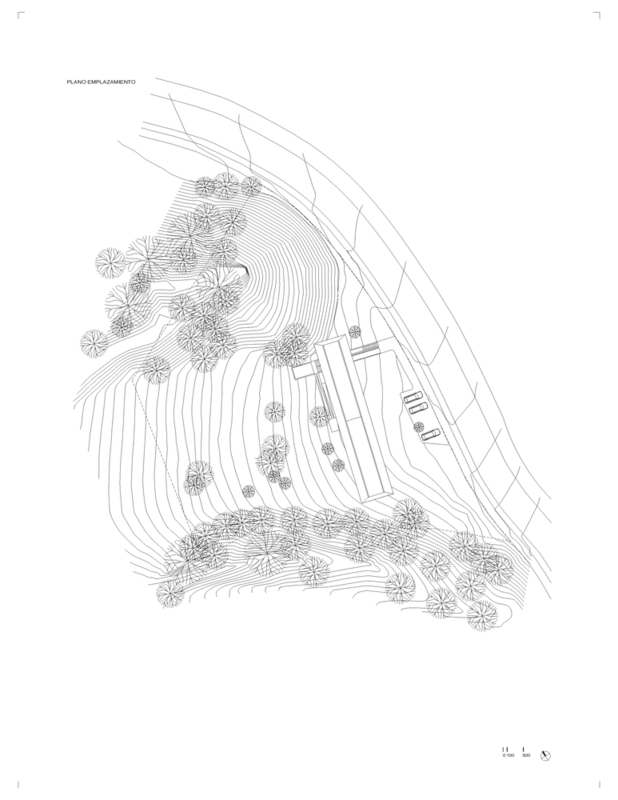 This means that before becoming a house, the project is its own structure. “The structural beams are supported by four walls, creating a dramatic 7-meter cantilever. These walls support the entire structure and create a base for the bedrooms. The house also includes a pool, which is set within another block of concrete at a perpendicular angle to the house itself. Without partitions or columns, an access level contains all of the home’s common areas, such as the lounge, dining room, and kitchen. A corridor leads to the master bedroom at the opposite end of the home. On the lower level, a family room is joined by additional bedrooms. 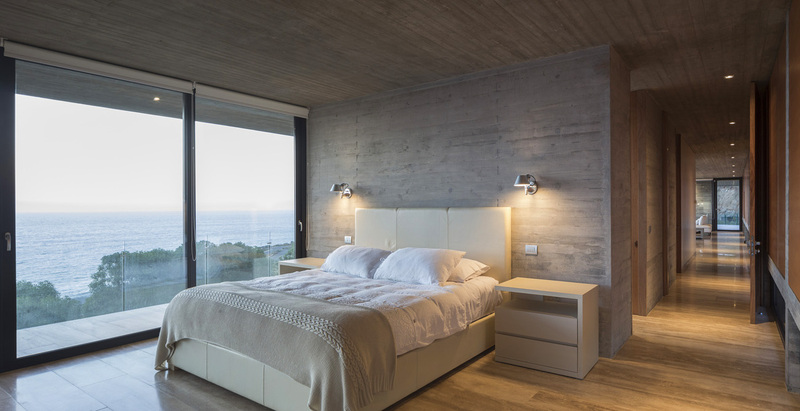 Also we recommend you to check other interesting concrete houses: The Wall House in Portugal and Fortress-like Concrete House in Switzerland.